BAT stands for Buoyancy And Trim and the Razor BAT Wing excels in providing a stable well trimmed platform for the side mount diver with plenty of lift and total redundancy all in an extremely low profile streamlined package. It is very simple to use and is easy to attach or remove from the Razor Harness as it is held in place with just 2 button head bolts. 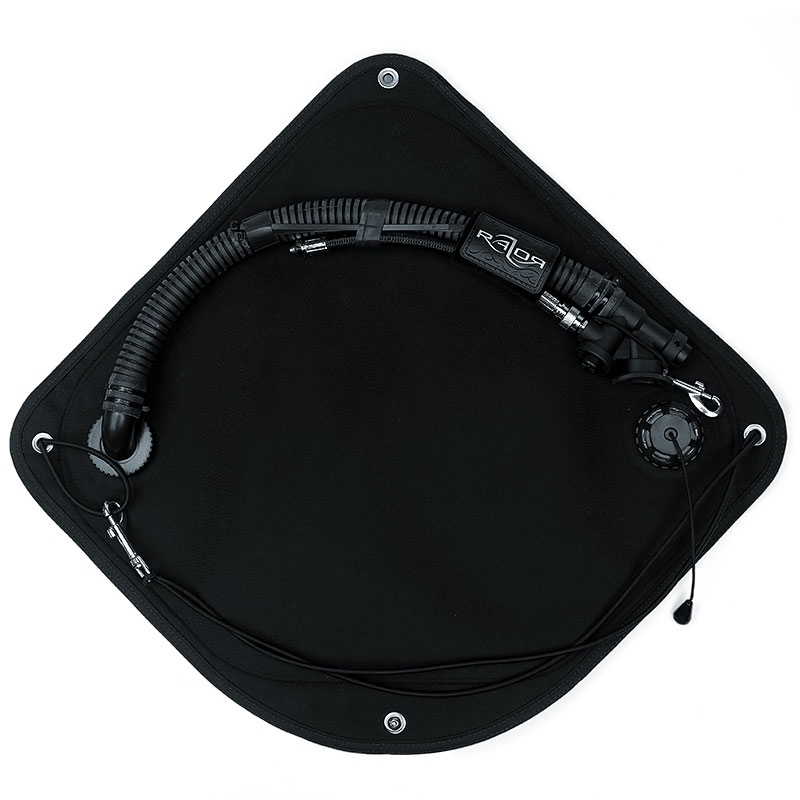 The mounting position can also be adjusted easily to fit divers of different sizes. 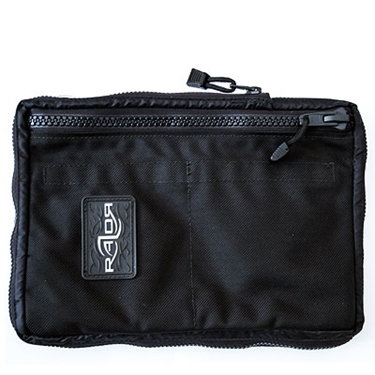 The BAT wing is extremely rugged and is constructed in 3 layers. Two outer layers of abrasion resistant 1000 denier ballistic nylon with a layer of heavy gauge polyurethane sandwiched between them. The wing is ultrasonically welded together and all of the edges are finished with edging tape. 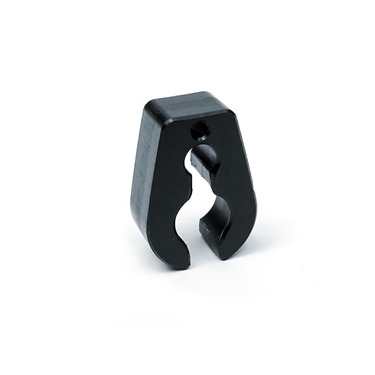 All attachment points have heavy duty reinforced grommets. The Primary wing has 45lbs of lift and is fitted with a DSS low profile heavy duty manual dump/opv valve and a standard power inflator so that the Primary wing can be inflated either with the power inflator or orally. The fittings for the dump valve and the corrugated hose/power inflator are identical and they can be swapped to use either on the left or right hand side of the BAT wing according to diver preference. The Redundant wing also has 45lbs of lift and is fitted a very low profile oral inflator. 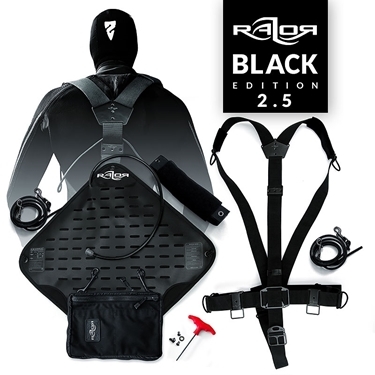 The harness will not restrict the BCD. You can use a smaller volume BCD as there is no reduction of usable volume. The harness will not cause air trapping in the BCD which would make control of buoyancy, trim, gas dumping etc more difficult. 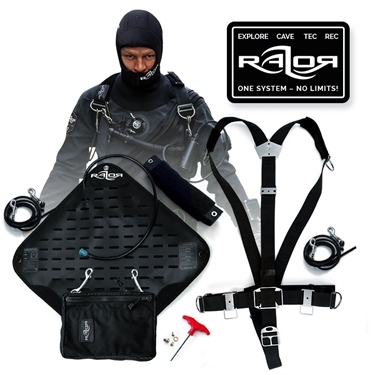 Inflating the BCD will not restrict the harness or make it uncomfortably tight. The harness does not have to be left loose to allow comfortable inflation of the bcd but can be very snug giving greater stability and control. The BAT Wing is positioned in the triangle between the shoulder blades and the hips. The majority of the buoyancy is in the lumbar arch area and the low profile position helps to reduce drag and entanglement hazards. As the lift is at the center point/midline of the body it is easy to optimize trim and creates a very stable platform to dive from thus giving the diver greater control when changing orientation in the water. With heavy equipment loads when lots of buoyancy is required the Bat Wing can expand without restriction and without it effecting the RH but is kept very low profile when not fully inflated. Whether inflated or not the diver always has full unrestricted access to all the harness attachment points at the waist. The BAT wing can be configured so that the Primary wing is on the outside with the Backup wing inside or reversed so that the Backup wing is outside and the Primary wing inside according to diver preference.